It’s never a bad time to start planning your next getaway. 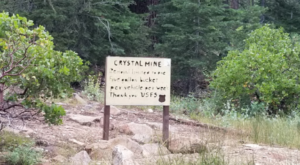 After all, it’s hard to resist spending time in our beautiful wilderness areas. 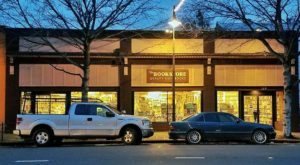 If you love being surrounded by complete wilderness but still enjoy certain luxuries of home, you’ll want to pay attention to the vacation destination featured below. These delightful cabins are tucked away in a discrete meadow surrounded by a redwood forest. The best part? The meadow just happens to be home to a herd of elk, all of which are more than likely to make an appearance during your stay. The setting is beautiful but the wildlife is the true highlight of this lovely little cabin resort. Keep reading for all of the information! 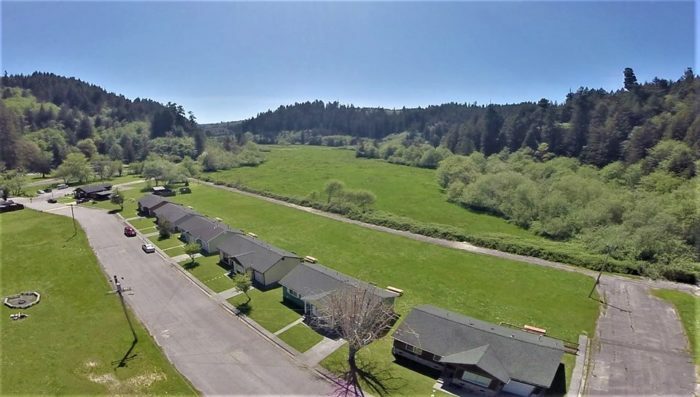 Tucked away in the heart of Redwood National Park near Orick is a stunning cabin resort that you'll definitely want to stay at. These forest cabins are downright dreamy but it's the setting that is bound to blow you away. Surrounded by forest and wildlife, this place truly feels like a sweet escape into the wilderness. Elk Meadow Cabins truly lives up to its name. Sure, the cabins are cozy and the location is gorgeous. However, it's the fact that this meadow is home to a large herd of elk that makes it an unforgettable destination. The elk are found frequently throughout the grounds and you're bound to make friends with a few of them! 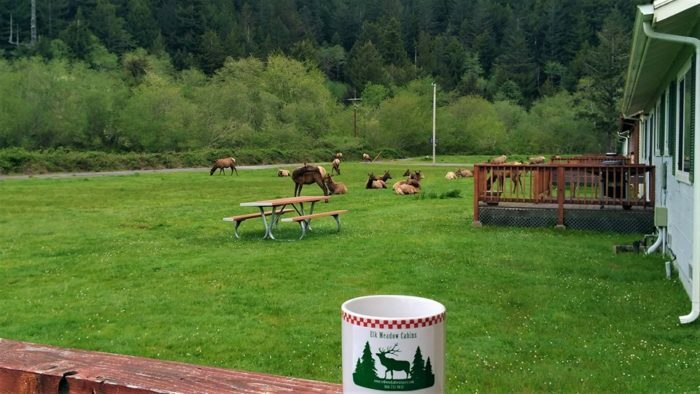 Imagine waking up to the sight of elk strolling just outside of your window. Sit back with a cup of coffee and watch these magnificent creatures in awe. Seeing these amazing animals up-close is an experience that is simply indescribable. The cabins themselves definitely don't disappoint. 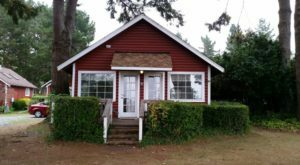 They offer a handful of charming little cabins, most of which are three bedroom and two bathroom. These aren't your typical bare-bones forest cabins. 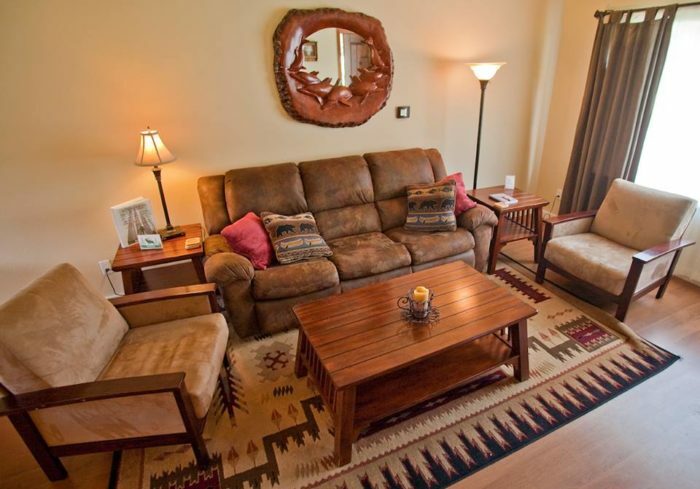 They contains all of the amenities you could need, making this place feel like your new home away from home. These cabins really are decked out to the max. Each cabin comes with a full kitchen and even a living room, complete with a television and cozy lounge chairs. 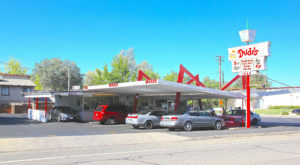 Other amenities include washer and dryer, back porch BBQ, onsite jacuzzi, fire pit, and even a garage. 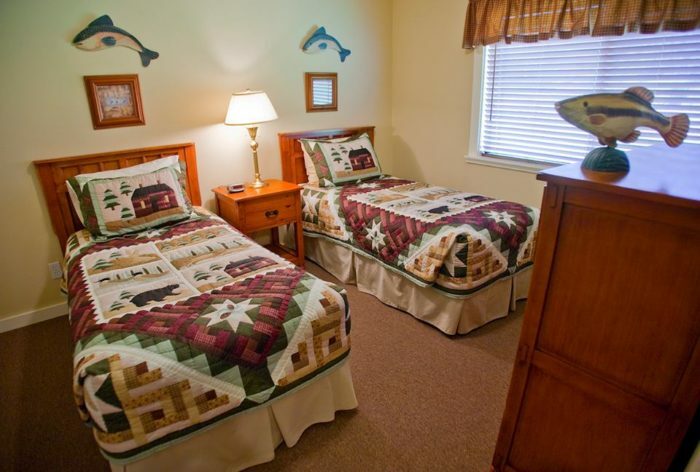 There's definitely no way you'll be bored during your stay at Elk Meadow Cabins. 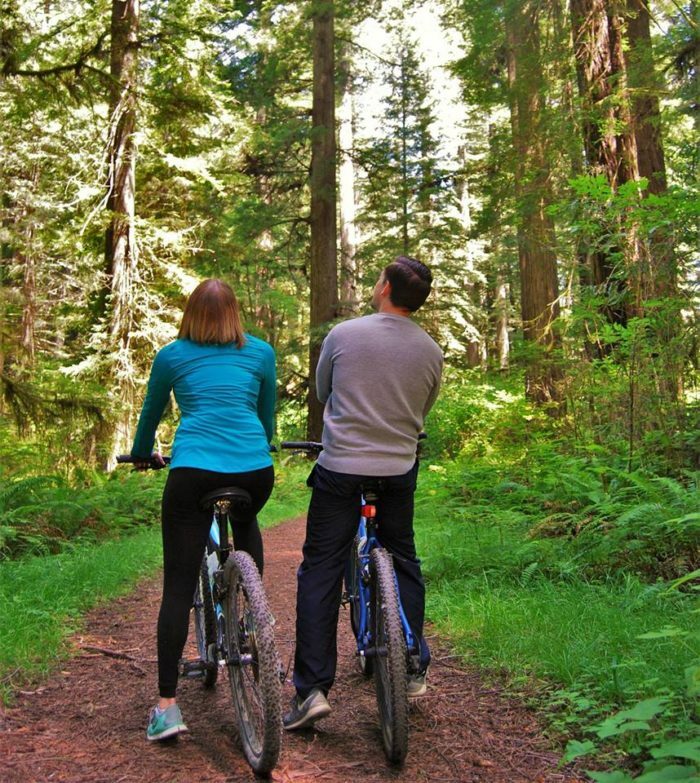 With Redwood National Park just feet away from your front door, there's plenty of adventures just waiting to be had. 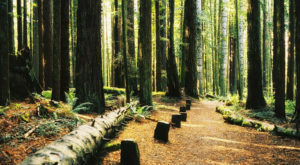 Many of the park's hiking trails are just walking distance from the cabins and take you straight to some of the forest's greatest sights, including the world's largest tree. 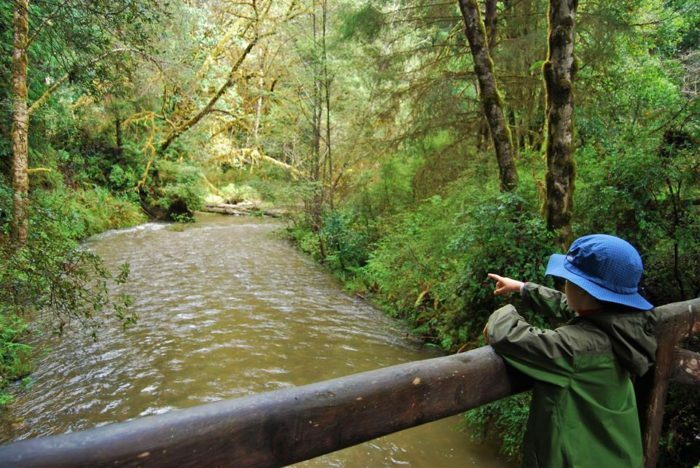 Elk Meadow Cabins even offers half-day and full-day "eco tours" with their knowledgeable naturalists. 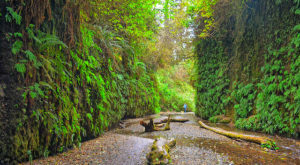 Each tour offers a unique adventure, such as their "Trees to Seas Tour", "Fern Canyon Tour", or "Redwood Creek Adventure Tour". 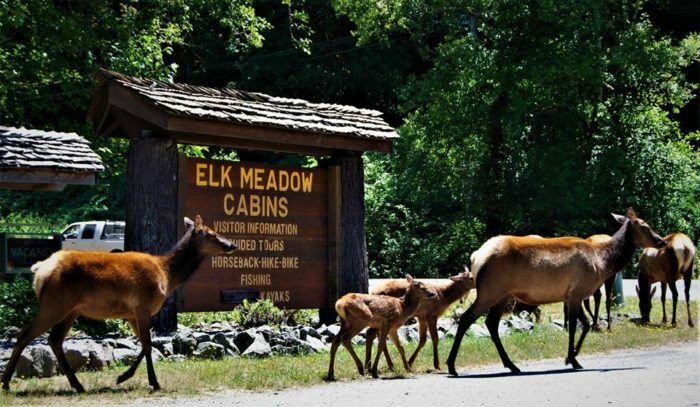 There's really no better homebase for your next redwood adventure than Elk Meadow Cabins. Located smack dab in the middle of the forest and surrounded by the region's wildlife, these all-inclusive cabins put you right in the middle of the action. For more information about them, you can visit their website here. Don’t these forest cabins look absolutely amazing? 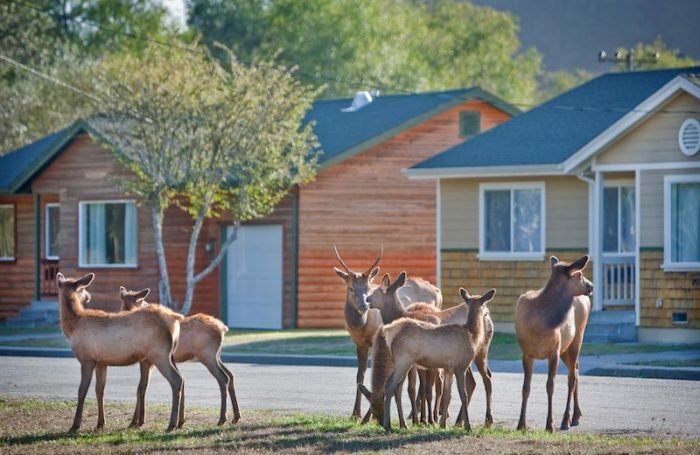 I definitely wouldn’t mind waking up to a herd of elk outside my door! 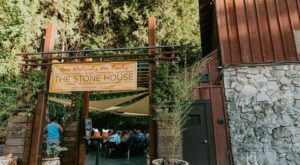 There are so many unique getaways to take advantage of in our state. 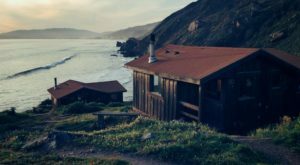 Take a look at our list of the 9 Best Cabins In Northern California for more one-of-a-kind destinations.